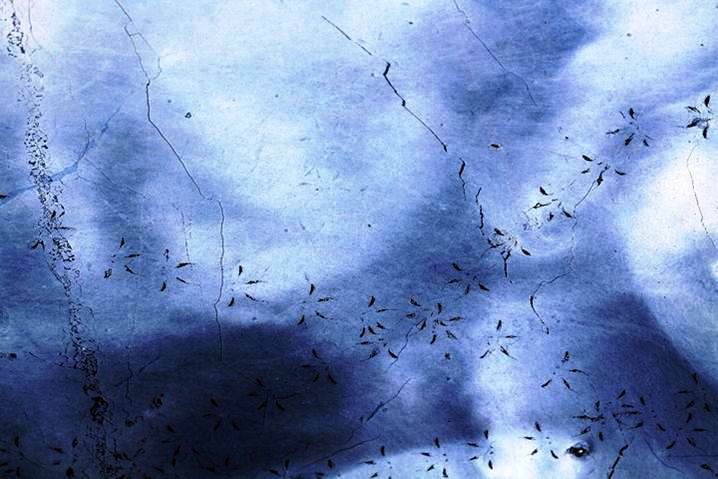 Here the microbiological world reveals itself, and also the activity of other creatures. Occasionally on the surface of an undisturbed and natural pond, a fragile and iridescent film will form. Often dismissed as just pollution, these brittle layers are in fact entirely natural, and are formed by the activity of resident iron and manganese oxidising bacteria. As they diffract light, they shimmer with the colours of the spectrum and have their own inherent beauty. 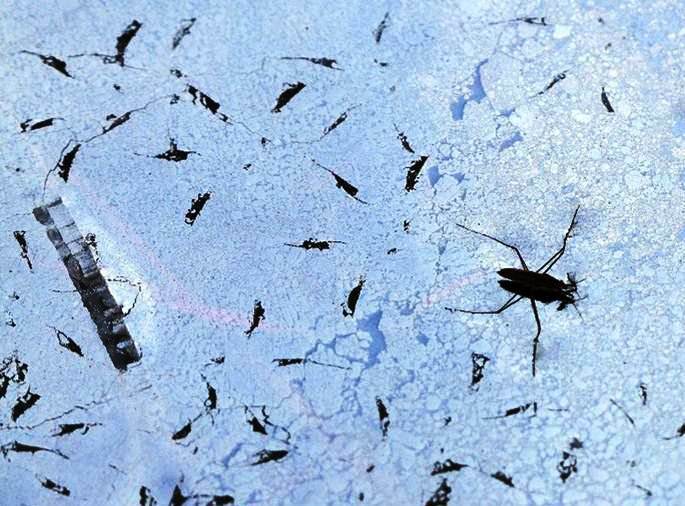 Beyond this, I’ve discovered that these delicate films uniquely record what must be one of nature’s most fleeting and difficult to capture phenomena, that is the footfall of small animals and insects that dwell on the surface of water (Epineustons). 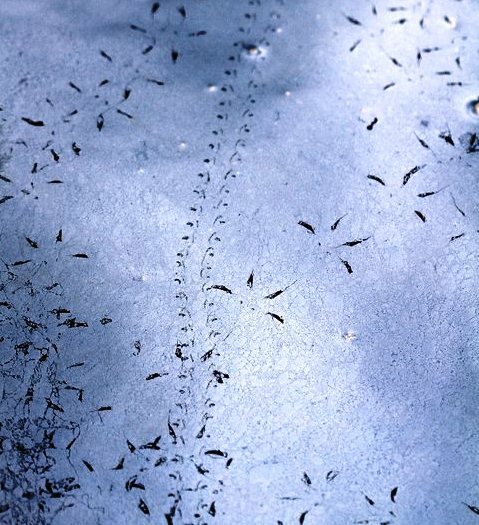 In these photographs the tracks are made by Pond Skaters and other unidentified surface dwellers. 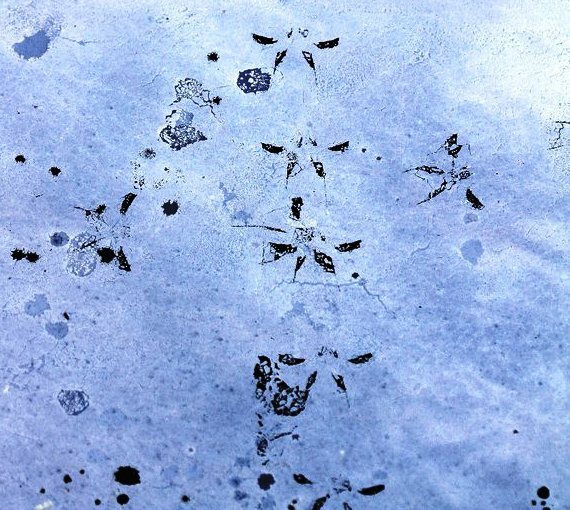 These observations have provided the inspiration for a new project in which I am seeking to mimic this phenomenon using materials that are more readily available so that the footprints that small animals make on the water’s surface may be captured more consistently. next you’ll need some appropriate music to create a completely psychedelic film.